All 110 Chapters of the Navajo Nation have been documented in a two-book series, the first of its kind. 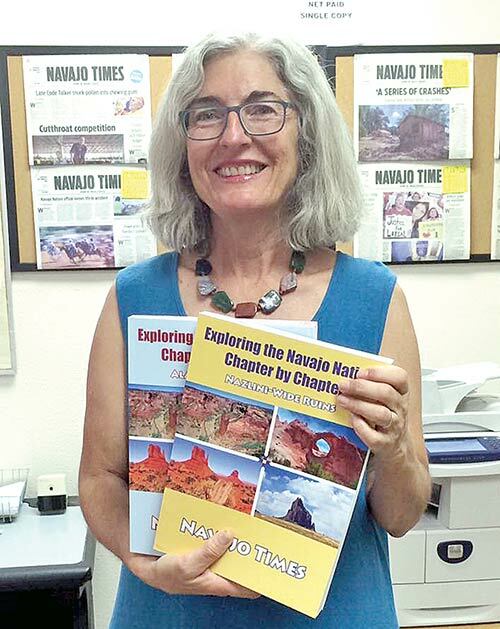 “Exploring the Navajo Nation Chapter by Chapter,” (Salina Bookshelf, 2016) tells the story of each Navajo Nation chapter from the perspective of the locals, explored and written by Navajo Times reporter Cindy Yurth with help from other Times staff. Yurth began the project in 2012, and since then, she has collaborated with a number of people all over Navajoland. The books are a compilation of articles that first appeared in the Navajo Times from 2012 to 2014, some of which have been added to and updated. The books narrate in detail the rich and unique history of each chapter; Yurth explores the chapter’s history, notable residents, along with the stories and traditions unique to each chapter. And unique to every chapter and region are stories of the supernatural. “There’s Bigfoot in the North, the Howler in Crownpoint,” said Yurth, adding that some paranormal and monster stories were omitted due to taboo among the Diné. Gathering information on all 110 chapters is no easy feat especially when dealing with the land, people, and traditions. 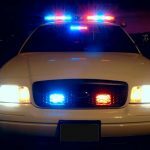 In one town, Yurth could not find a chapter official willing to talk because the chapter had had a bad audit. In others, she went door-to-door and interviewed strangers in an effort to get every ounce of information regarding their local chapter. 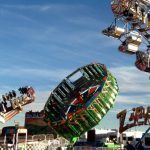 “I interviewed three little girls once, they were all eight years old and they were happy to talk to me, very nice,” said Yurth, mentioning the young girls would be around age 12 now. And in some communities, members would become upset when Yurth interviewed other people within their community because some families wanted to be the dominant voice of their community. Another problem Yurth encountered during her research was locating some of the more remote chapters, like Ojo Encino in the Eastern Agency. “I’ve slid off the road a couple of times and gotten lost often,” said Yurth. 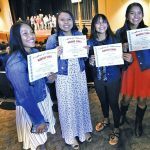 In 2010, it became apparent to Yurth that more news coverage was needed when a custodian at Chinle High School pointed out that more areas should be covered in the Navajo Times. “He told me ‘I bet you’ve never been to Nazlini,’ and Nazlini is just 14 miles south of Chinle,” said Yurth. 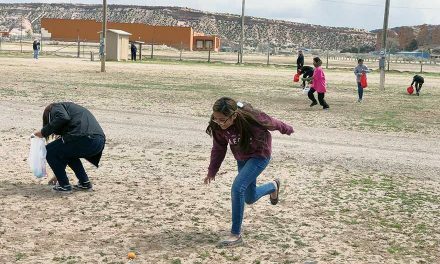 She then made it her mission to document these unknown stories of our Navajo chapters. 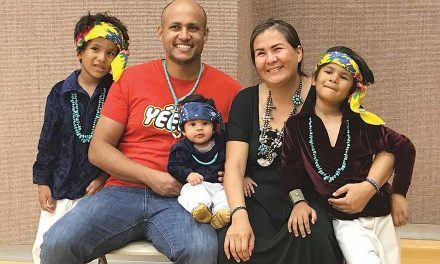 After travelling thousands of miles to all 110 chapters and even driving off the road a couple of times, Yurth said she learned a lot about Navajo history. 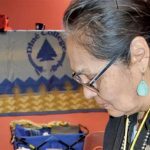 From the interesting story of the founding of Ramah Chapter to the hard times faced by people in Hard Rock Chapter, she hopes to spread the history of the chapters to the world, as she has been the first to document all 110 Navajo chapters in this way. Yurth credits Navajo Times staffers who have helped photograph the chapters and who have introduced her to interesting, knowledgeable people from their local chapters. 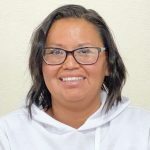 Western Agency Reporter Krista Allen was an invaluable asset when she assisted translating for some Navajo elders in her area who had remarkable stories to share. “I’d like to thank the Times staff and Navajos who have shared their stories with me,” said Yurth. A couple of people have passed away since Yurth last interviewed them and she hopes their stories will be preserved in these books for their loved ones and community members. 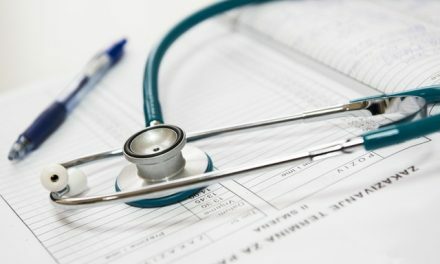 The two-book series is to be released to the public in mid-October. It will be available through Salina Bookshelf.